Kait Paschall works at Epic Games with producers and authors of content to create the closed captions and help localize content in other countries. 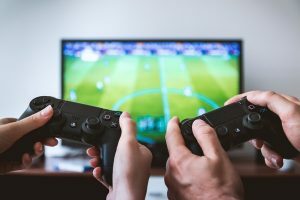 At ENTI and the University of Barcelona, she helps game developers create content tailored to be relevant for disabled gamers. She also teaches about user experience, user interface, and the history of accessibility. The WHO defines disability as the mismatch between a human and whatever it is that they’re trying to use. Kait emphasizes the importance of understanding that disability is something we will all face in life. Disability can be situational. Example: you want to watch a video in a public place but forgot your headphones. It’s as simple as that. She encourages business owners to realize that if you are not striving for accessibility, you are preventing people from using your product. Space out links and buttons for those with physical disabilities like Parkinson’s. Provide speech as an alternative input for those with limited physical abilities. Make the keyboard and mouse user experience accessible for all. While AAA game companies are making big accessibility features and are paving the way for smaller companies, there is still a long way to go. Kait encourages web developers to follow suit, and begin having an open channel with their customers to gather feedback. In the end, it all comes down to making meaningful design choices, play-testing, and user testing with a diverse set of users. From motor to speech to cognitive, you should be connecting with users who have all types of disabilities, in every single phase of testing. Then, use their feedback to improve your product and your work moving forward. Kait recommends the book “The Gamer’s Brain” by Celia Hodent as a starting point for improving your product’s engage-ability and fun factor. 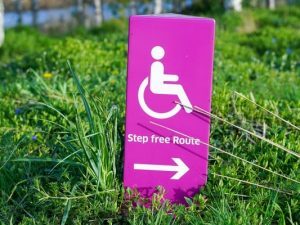 Tools like the WCAG and Microsoft’s Inclusive Design ToolKit are also resources that can help you start improving accessibility. Reach out to people with disabilities and ask them for help, look at the WCAG for guidelines, and don’t pressure yourself to meet everything. If you’re conscious and you’re doing it for the right reasons, you’re going to be okay.